No one wants to think or talk about suicide, but as people who care deeply about the well-being of boys, we’d be remiss to stay silent. This episode is a tough, but vitally important, one. 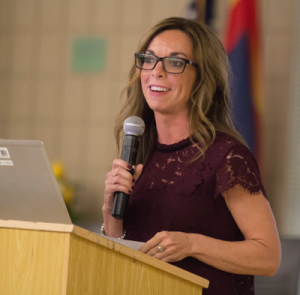 Our guest, Katey McPherson, is a boy advocate, educator and consultant who turned her attention to suicide prevention after a slew of teenage boys in Arizona committed suicide. “Just in my 20 mile radius, we’ve lost 32 boys in 20 months,” says McPherson. Most, she said, had experienced a “significant life crisis” in the weeks previous such as a breakup, academic or athletic failure or altercation with the law. To many adults, these incidents may seem relatively minor. But in the life of tween or teen, these are major events. “The reality is, some of these children have never failed. And so when they have a failure, it is epic,” McPherson explains. Social networking can further amplify kids’ feeling of failure, as news of kids’ achievements and failures quickly spread. Unfortunately, adults sometimes unwittingly make things worse by taking away their child’s phone or keeping their child apart from friends. Teens rely on one another for social support, and use their phones to connect. Without their phones and friends, they feel alone and isolated. Trapped in their thoughts, it’s all too easy to move from depression to suicidal ideation to suicide. Teenage boys’ brains are immature. They don’t process the world the same way we do. They’re impulsive. We have to remember those facts when interacting with our teen boys. We have to listen, learn and love. Above all, pay attention to your gut instincts. “If your mom or dad radar is going off, there’s something wrong,” McPherson says. “Don’t dismiss your mom or dad radar. That’s where we go wrong.” Don’t dismiss your concerns; act instead. 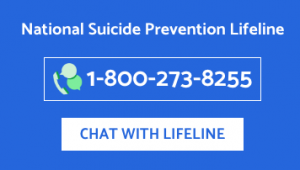 If you or someone you know is struggling with depression, there are resources for you by calling the National Suicide Prevention Lifeline at 1-800-273-8255 or visiting suicidepreventionlifeline.org.